Compliance Program Definition ISO 22301 is the first international standard for Business Continuity Management (BCM), has been developed to help organizations minimize the risk of such disruptions. ISO 22301 is, “Societal security - Business continuity management systems - Requirements”, the new international standard for Disaster Recovery and Business Continuity Management System. This standard replaced BS 25999. ISO 22301 defines requirements to plan, establish, implement, operate, monitor, review, maintain and continually improve a documented management system to prepare for, respond to and recover from disruptive events when they arise. The requirements specified in ISO 22301 are generic and intended to be applicable to all organizations (or parts thereof), regardless of type, size and nature of the organization. The extent of application of these requirements depends on the organization's operating environment and complexity. The day-to-day management of an effective business continuity management system relies on using the appropriate resources for each task. These include competent staff with relevant (and demonstrable) training and supporting services, awareness and communication. This must be supported by properly managed documented information. Business Impact Analysis (BIA): This activity enables an organization to identify the critical processes that support its key products and services, the interdependencies between processes and the resources required to operate the processes at a minimally-acceptable level. Risk assessment: ISO 22301 proposes to refer to the ISO 31000 standard to implement that process. The goal of this requirement is to establish, implement, and maintain a formal documented risk assessment process that systematically identifies, analyzes, and evaluates the risk of disruptive incidents to the organization. 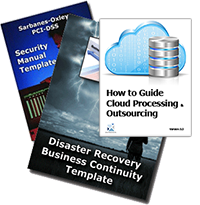 Disaster Recovery and Business continuity strategy: After requirements have been established through the BIA and the risk assessment, strategies can be developed to identify arrangements that will enable the organization to protect and recover critical activities based on organizational risk tolerance and within defined recovery time objectives. Experience and good practice clearly indicate that the early provision of an overall organizational BCM strategy will ensure BCM activities are aligned with and support the organization's overall business strategy. The strategy should be an integral component of an institution's corporate strategy. Be effective in minimizing consequences through implementation of appropriate mitigation strategies.